The most popular of all our numerous combinations of historic light poles are featured here. These standard packages are more affordable because we stock many of these items. Quick ship poles are all featured within this section. Our cast aluminum stock Antique Streetlamps matched with decorative arm brackets are available within 2-3 weeks of order. Light pole options include banner arms, recepticals, irrigated basket hangers, and photo electric control. 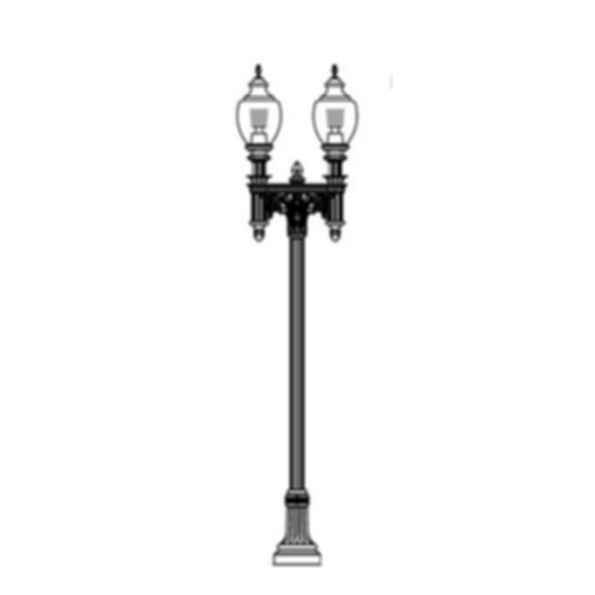 If you dont see a light pole you like here please visit our other sections of integrated light pole products to create your own unique antique street lamp design.